In a recent study titled “Effect of Marijuana Use on Outcomes in Traumatic Brain Injury” and published in The American Surgeon, researchers found that patients who had detectable levels of THC in their bodies were less likely than those who did not to die as a result of traumatic brain injury (TBI). The retrospective study examined the data of 446 cases of traumatic brain injuries over a three year period, involving patients who had been treated at Harbor-UCLA Medical Center in Torrance, CA. Overall, 18.4% of patients traumatic brain injury in the sample had toxicology reports positive for the presence of THC, and the death rate for all cases examined was 9.9%. After adjusting for differences that may confound results (such as age, gender, and classification of injury), the death rate for TBI patients with THC-negative toxicology reports (i.e. without detectable levels of THC in their body) was 11.5%, but for traumatic brain injury patients with THC-positive reports was only 2.4%. Therefore, the survival of THC-positive TBI patients was approximately 80 times more than the survival of THC-negative TBI patients. The fact that this was a retrospective analysis, as opposed to a double-blind, placebo-controlled, randomized trial, limits the ability to determine a cause-effect relationship from the study (i.e. it cannot be determined from this study alone that THC is the direct cause of the decreased rate of death from TBI). Additionally, the frequency of cannabis use of the THC-positive patients and the method of delivery used by the traumatic brain injury patients (e.g. smoking, vaporizing, ingesting) was unknown. According to a Reuters article on the study, “One concern with the study, according to [Dr. David] Plurad (one of the study’s authors), is that the test for THC could not distinguish between occasional and regular users. A person could test positive after having used marijuana days or even weeks before.” This is largely due to the fact that THC is fat-soluble, and can therefore accumulate in your fat cells instead of being immediately excreted by the body, like water-soluble compounds. Plurad also states that while similar studies conducted in the past found that alcohol was protective from TBI death, the presence/absence of THC in these studies was not controlled for. Therefore, the potential exists (“potential” being the key word) that the patients who had detectable levels of alcohol in their body in these studies also had THC in their system, which is what actually led to the neuroprotective results. Because of this, the validity of these past studies’ results may be limited. Additionally, the researchers in the currently reviewed study also examined the effect of alcohol on traumatic brain injury death rate, and found that “[alcohol] didn’t turn out to be as protective as the presence of the marijuana”. While the results of this study do not definitively prove that the use of cannabis (at levels resulting in physiologically detectable levels of THC) will help to prevent death in the case of a traumatic brain injury, they do lend to a growing body of evidence thatendogenous cannabinoids (i.e. those occurring naturally in our bodies, such as 2-AG) and exogenous cannabinoids (e.g. 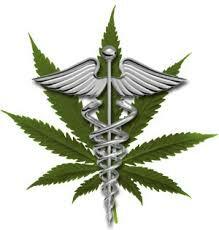 those found in the cannabis plant, or synthetic forms) may prevent or halt brain injury, even in infants. In a 2006 study published in found that dexanabinol, a synthetic cannabinoid derivative, while found to be safe, was not effective in treating TBI (dexanabinol does not produce the intoxication caused by cannabis strains with psychoactive levels of THC because instead of binding to CB1 and CB2 receptors, it functions by blocking NMDA/glutamate receptors and neutralizing free radicals which can damage the body). All of these findings signify a need for increased research into the effects of THC and other naturally occurring and synthetic cannabinoids on brain injury and as general neuroprotectiveagents, which may have roles in treatment of neurodegenerative diseases like ALS, Alzheimer’s, Parkinson’s, Huntington’s, and others.